The corridor of Broad from Belvidere to the Convention Center is quickly transforming into one of Richmond’s most up and coming areas...And Gather’s newest location, City Center, is right in midst of all the recent developments. New retailers, galleries and restaurants are infusing the area with an updated, modern vibe while long standing restaurants like Comfort and Tarrant’s are holding true to Richmond tradition. From our City Center location, you can walk to the Virginia State Capitol or Convention Center and easily hop on the Pulse Transit to zip up and down Broad Street. Walk just a few blocks and find yourself in one of Richmond’s award winning restaurants or unique galleries showcasing the work of local artists. Offering 20,000 square feet of offices, conference rooms and coworking space, City Center is the hub where business professionals, nonprofits and creatives converge and collaborate. Let us know if you are interested in hearing more about our newest location! Get instant access to the workspace and conference rooms as needed. 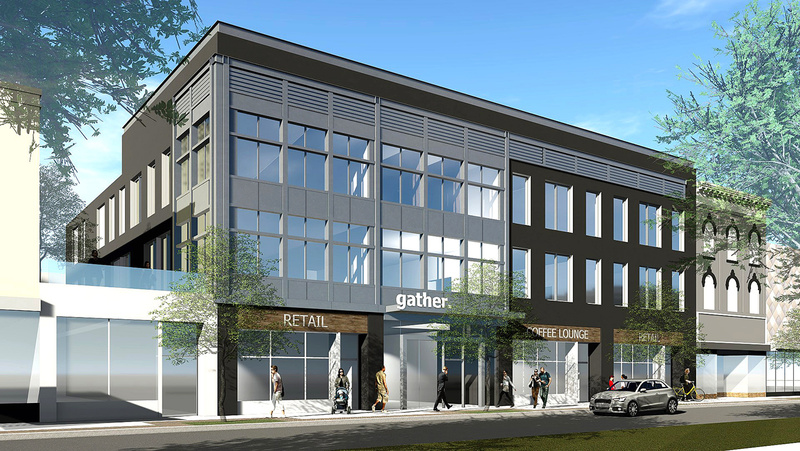 Gather is a coworking office with locations in Downtown Richmond, Scott’s Addition, Short Pump, and Downtown Norfolk. We offer a collaborative space where startups, entrepreneurs, work from home professionals, and small businesses can work, meet, and collaborate. Our memberships are designed to meet the needs of all types of business professionals. Rent a dedicated desk, state-of-the-art conference rooms, private offices, or simply co-work! On top of that, you’ll get all the benefits of a regular office with access to our free wifi, copiers, printers, kitchen, gym, and all the coffee you can drink!